Summer is around the corner and the heat wave makes everything seem terrible. 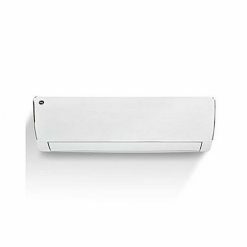 To stay cool throughout the tough season bring home this amazing Split Air Conditioner. It will keep your room so perfectly cool that you would barely feel the summer heat. Along with providing perfect cooling in winter, this versatile AC will provide you with clean dust free environment. It is a great pick for every household which seeks perfection in everything. Equipped with all brilliant features, this is just the right thing for your home. Recommended area: 200 square feet max.